Let’s be clear: the Chugchilán to Quilotoa leg of the Quilotoa Loop is by far most difficult. And the previous legs (Sigchos to Isinlivi and Isinlivi to Chugchilán) are already full-day hikes themselves. The most intense feeling of achievement when you finally reach Quilotoa! If you’re impatient, like me, and would trade a shorter, steeper climb for a longer but less steep one, you can shave up to an hour off your time. Read on to find out how! The first couple of hours from Chugchilán to Quilotoa, you’re mainly going downhill. Don’t forget to take photos! Especially because the weather might well worsen later in the day, like it did for us. You’ll pass a few small villages on the way, where you can buy refreshments and even stay the night if you don’t feel up to going any further. 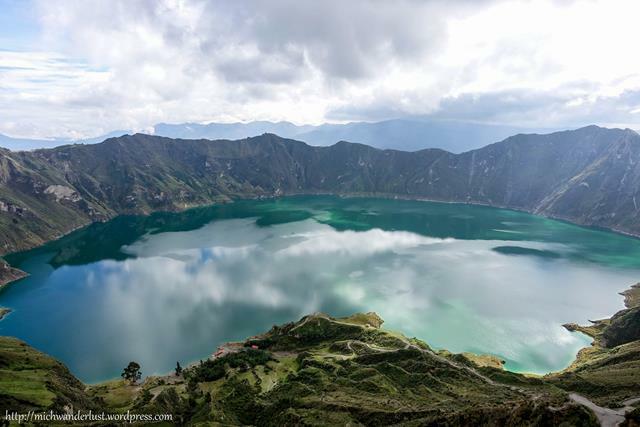 Keep a lookout for signs saying Quilotoa and rocks with painted red arrows! You’ll inevitably get lost a few times, but you’ll be able to tell when you’ve made a wrong turn after a few hundred metres (e.g. if you end up at someone’s front door!). 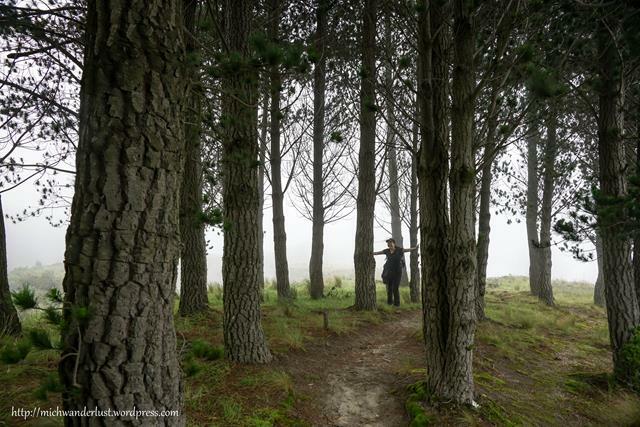 Eventually you’ll come to a little pine forest – literally a small patch of pine trees in otherwise open fields. You can’t miss it! As you can see, by this time it was getting increasingly foggy and we couldn’t see more than a few hundred metres in front of us. The smell of rain hung heavily in the air and we knew it was just a matter of time before the inevitable rain. We ended up on a dirt road and by a stroke of luck, met two hikers going in the other direction. 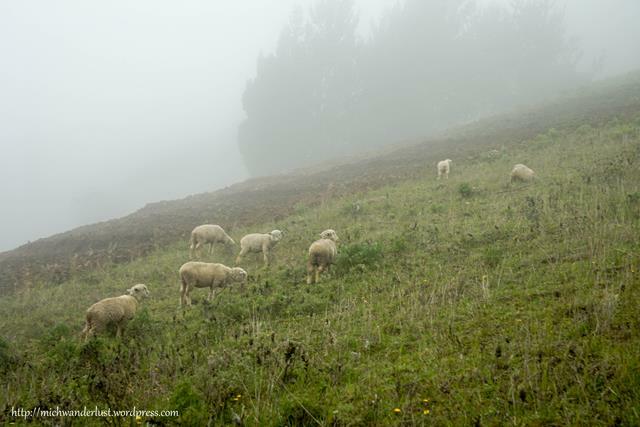 They were picking their way down a steep slope, and told us that Quilotoa was up that way. 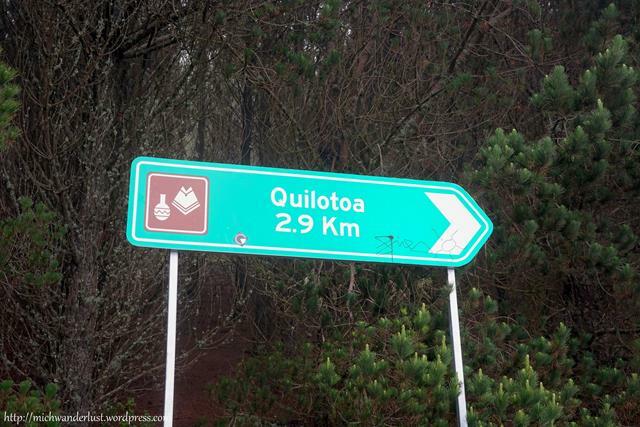 Our directions indicated that we should stay on the dirt road until we reached Quilotoa, though. One of our hiking buddies consulted her trusty offline GPS. It showed that we could either go straight up the side of the mountain, which was a more direct route, or follow the road, which was obviously less steep but a lot more winding. Here we couldn’t reach a consensus on which way to go. 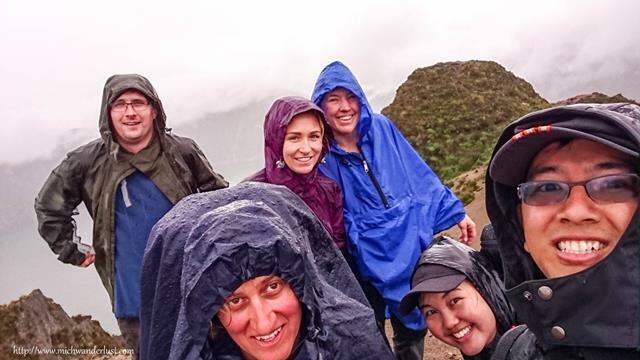 Some wanted to stick to the directions, which meant an easier (if longer) hike and the certainty of reaching Quilotoa. Remember, by this point we’d already been hiking for hours and gotten lost a few times, so it was perfectly understandable. 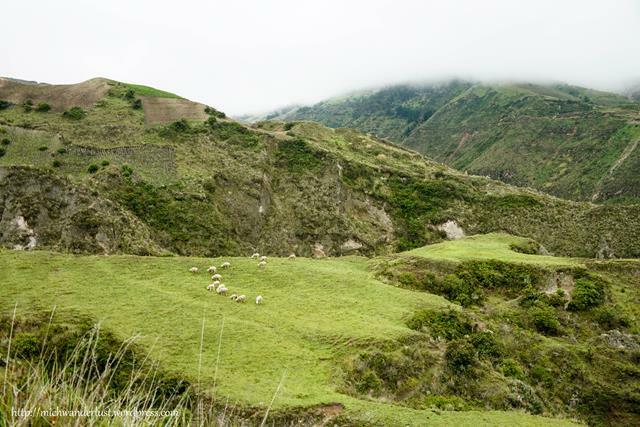 Others just wanted to reach Quilotoa as soon as possible, even if it meant far more pain in the short-term. I was tired and grumpy (and frankly sick of the hike) by this point – so it was a no-brainer for me. So our little group, that had stuck together all this time, regretfully split up and we headed our separate ways. That slope probably doesn’t look terribly steep to you. But in a matter of minutes, I was wheezing for air and had to stop every 20m (65ft) or so to get my breath back. It felt like someone had very stealthily stolen half my lungs, and I was only just now realising it! Luckily for me, the rest were in only slightly better condition, so we all progressed at the same pace. Bear in mind that the altitude here is over 3000m (9800ft), so that was definitely a factor. Just take it easy and stop for breaks as often as you need to. You’re still saving a lot of distance (our friends who stayed on the road reached Quilotoa much later). The next few hours passed in a blur for me. I don’t know exactly how long we took to climb that slope – it could have been 20 minutes, but it felt like hours. Like a mantra, I kept repeating to myself – the only way out is up! I do know that after a while, we caught up with some fellow hikers who had overtaken us much earlier in the day. Or rather, they caught up with us! They came from behind us on another path, so they didn’t take the crazy slope shortcut. And then – oh joy! Don’t get too excited just yet, though – it’s still some way away. 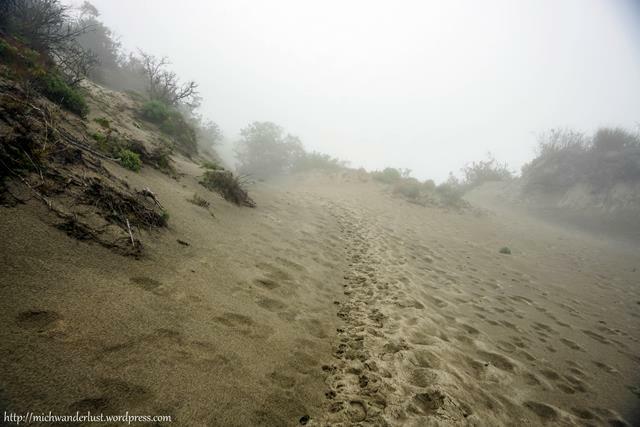 The terrain inexplicably changes here – suddenly there’s lots of sand, and you could almost believe that you’re in the desert. Just keep going, and soon you’ll find yourself at the crater rim. Oh, and don’t forget your rain gear! Rather underwhelming, right? Blame it on all the rain and fog! Fortunately, we got much better pictures the next morning. Pro tip: take your pictures in the morning! The unique blue-green colour of the lake is what makes it probably the most photogenic lake in Ecuador. Locals say that the lake has no bottom – looking at it, it seems almost plausible. It’s extremely alkaline, so there are no fish, but they said you can take a boat out. You can hike all the way around the lake, but we didn’t have time for that. According to Lonely Planet, you can do it in about 6 hours if you’re fit. Distance covered from Chugchilán to Quilotoa: 13.1 km (8.1 miles) in 7 hours. 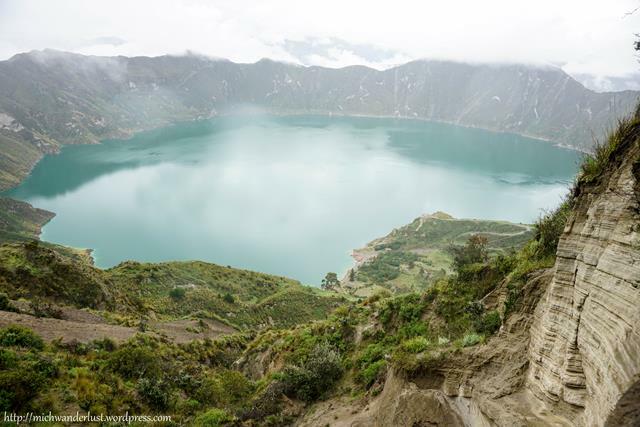 It took us another 50 minutes after our first glimpse of the lake to reach the village of Quilotoa, walking around the rim. It was freezing and I couldn’t feel my hands (rain-related, I think!). There’s no shortage of accommodation options. 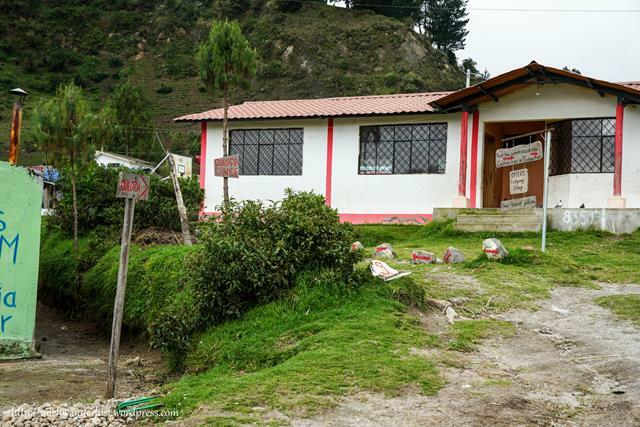 We got a room at Hostal Pachamama (US$15 per person per night, breakfast and dinner included), but others in our party went next door to Hostal Chukirawa (US$25 ppn). The latter was obviously more upscale, but for US$15 a night (one of the cheapest options around) I was pretty happy with Hostal Pachamama. It had hot showers and a fireplace which was perfect for chilling out and chatting with other hikers. Dinner wasn’t as generous as Hostal Cloud Forest or Llullu Llama – just soup, main dish and tea/coffee, no dessert. It was enough for me though. 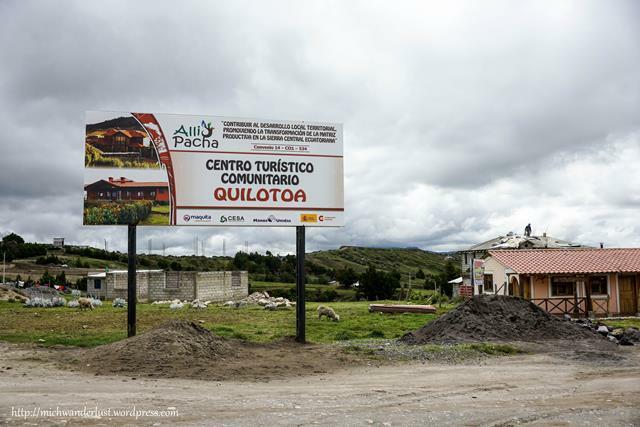 To get back to Latacunga (where you start and end the Loop), there are hourly buses along the main road – you have to walk out of the village and wait by the highway. The bus ride took 2h 45min and cost US$2.50. You can also catch a ride from camionetas (pick-up trucks) from the village, which cost US$3-4 (negotiable). If you have the time, consider visiting Zumbahua (14 km south of Quilotoa) before heading back to Latacunga. It has a (relatively) famous and authentic Saturday indigenous market. 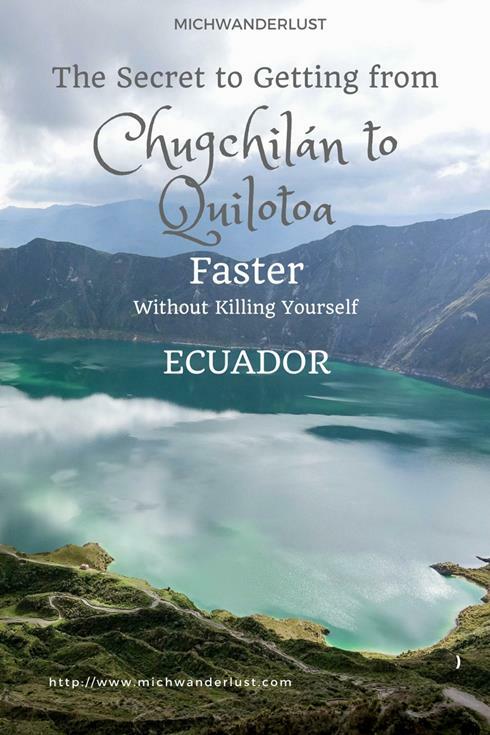 It’s also easy to catch a bus there from Quilotoa. We gave it a miss, though, since it wasn’t a Saturday and we’d already been to a market town on non-market day. Over to you! Are you a fan of shortcuts? Have you taken any shortcuts that turned out badly? Or would you just stick to the road? Let me know in the comments! That morning photo is so beautiful! Your hotel sounds cozy. I think I would have taken the longer, less steep route. Distance I can handle but fast elevation gain will overpower me almost every time! Wow looks and sounds like a strenuous hike well worth the effort! Bummer your group split up and it was cloudy upon arrival but that next morning, wow! Thanks for linking up with #TheWeeklyPostcard! It was definitely tough but totally worth it. No pain, no gain, amirite? Thanks for stopping by, Lolo! Can totally understand sticking to the given route. I guess we were quite confident that it would be shorter (because of the offline GPS) and were willing to risk getting a bit lost in the interests of arriving as soon as possible! Thanks for your kind comment, Anisa! Thanks for your kind comment, Tomas! I think we had spent the last week or so in altitudes between 2000-3000 metres, but not as high as this. 4500-5000 m is crazy!! How long did you take to acclimatise to that?? Thank you for this post! 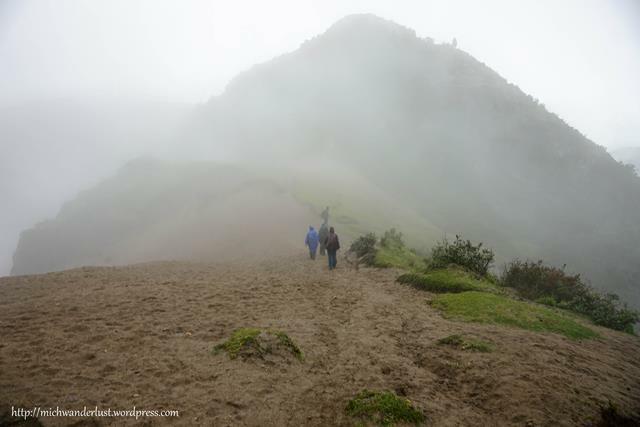 We plan to hike this loop while we are here in Ecuador. We are loving this beautiful country! 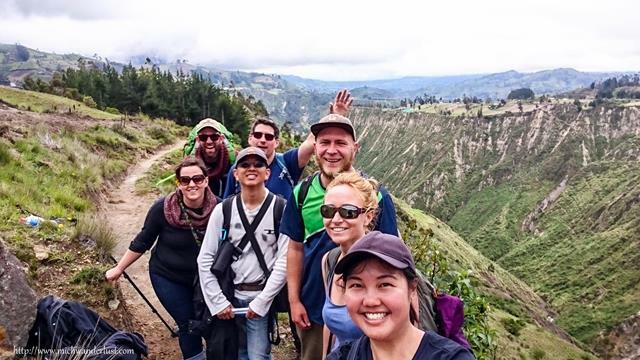 We just went on a hike near Otavalo and took a wrong turn that didn’t turn out to be a good turn. Given a choice I would also take the gradual longer way around. 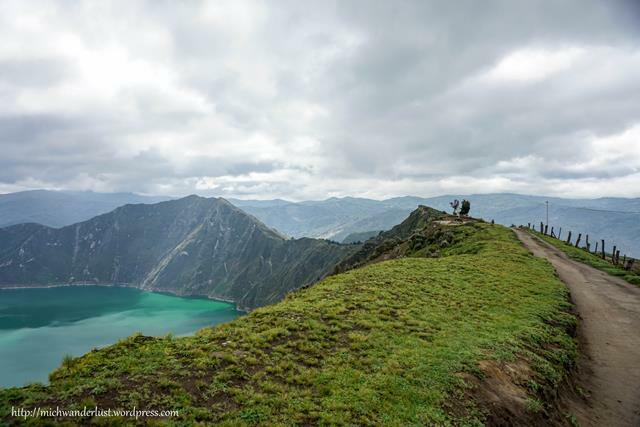 You should definitely do the Quilotoa Loop if you have the time! 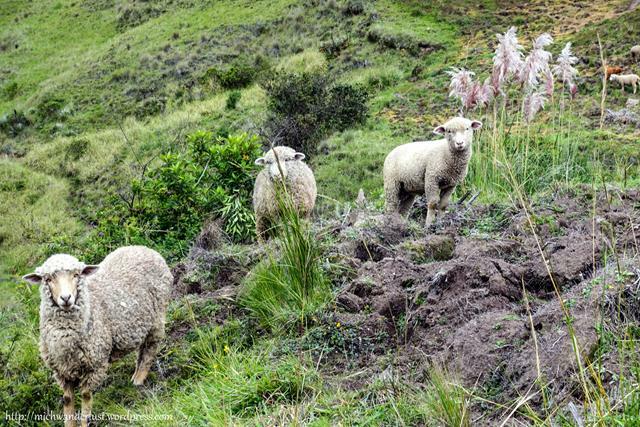 If you’re still in Otavalo, I’d also recommend visiting the Lagunas de Mojanda – a bit less touristy and a lot colder, but completely different landscapes from Cuicocha. Thanks for stopping by and your kind comment, Bonnie! Yes, I can totally relate – you really do feel like a winner after overcoming all the fatigue to complete the hike! Kauai looks lovely from your photos. Hope to visit it for myself someday. Thanks for stopping by, Anda! What a great shot of the lake! But after that climb – and at that elevation! – it would have to be spectacular. Sounds like quite the adventure, and the village at the end looks great. I’d live to see the indigenous market at Latacunga, too. Thanks for sharing the fun (and misery;) on #TheWeeklyPostcard!